The Aon 3 is an exceptionally compact, ultra-high-performance bookshelf speaker that was originally developed for use as nearfield monitors in professional mixing applications. 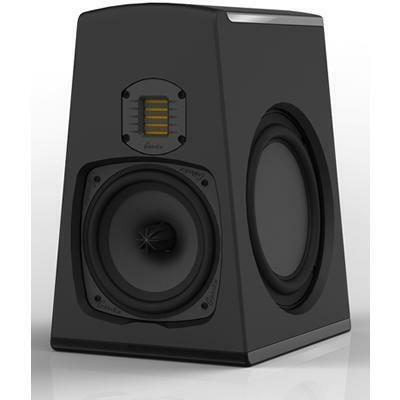 The compact, 14" Tall Aon 3 Bookshelf Monitor incorporates a 7", High-Definition, Multi-Vaned Phase Plug (MVPP™), cast-basket Mid-Bass Driver, coupled to two 8" Inertially-balanced side-mounted Low Frequency Radiators and the GoldenEar High-Velocity Folded Ribbon Tweeter (HVFR™). 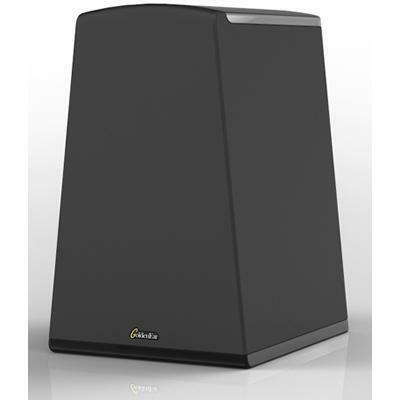 Additional Information The Aons are of a truncated pyramidal construction, which results in significant performance advantages due to the non-parallel cabinet walls and the reduced baffle area around the tweeter.